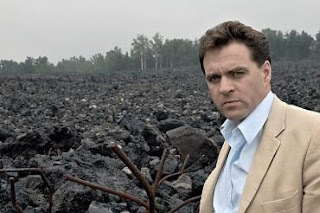 Pictured in the image is Niall Ferguson. 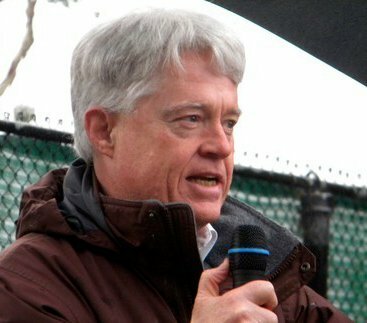 Ferguson is Laurence A. Tisch Professor of History at Harvard University. He is also a Senior Fellow at the Hoover Institution, at Stanford University. Given his connections to the Hoover Institution, one of the original "think tanks" for those whose political predilections run towards the conservative and libertarian, it is not surprising to find that Ferguson's new book, Civilization, judges with a sense of regret that the West has forgotten "the benefits conferred on the world by imperialism." I haven't yet read the book, but I read the review that appeared in the San Francisco Chronicle on Sunday, December 4th, and I trust that the review is quoting the book correctly. For me, "civilization" is just a shorthand word for the human world, the world that we create. As Ferguson sees it, "Western Civilization," the name of "our brand" of this created reality, and also the name given to the seminal course required of all new students at Stanford, when I was an undergraduate there, has been built on "six killer applications": (1) competition in politics; (2) the Scientific Revolution; (3) protection of private property through the rule of law enforced by representative government; (4) improvements in health and life expectancy; (5) a culture that encouraged consumption; and (6) a faith-based work ethic. I may have to read the book, though I have a strong suspicion that I am not going to like it. I do agree, though, that our civilization is built (#1) on "competition in politics...." The world we create is a reality that is the product of our joint efforts, and efforts that are above all "political." While "individual" actions, of course, affect history and the future, we "make" history through our joint actions, and we "live in a political world."